Artist? Maker? Creator? Have 46 chromosomes and a heartbeat? We want you!Dragon Burn is calling on you to let out your creativity and share your passion with a like-minded community of creative minds! 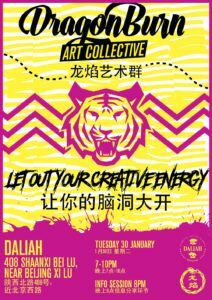 Dragon Burn 2018 will be April 28th-May 1st so the Art Collective is beginning, starting with our intro meeting Tuesday January 30th at Daliah (On the corner of Beijing Lu/ Shaanxi lu) from 7pm-10pm.Find out everything you need to know about Burning Man, Dragon Burn, the process of making an installation, and meet some incredible people with whom to collaborate. 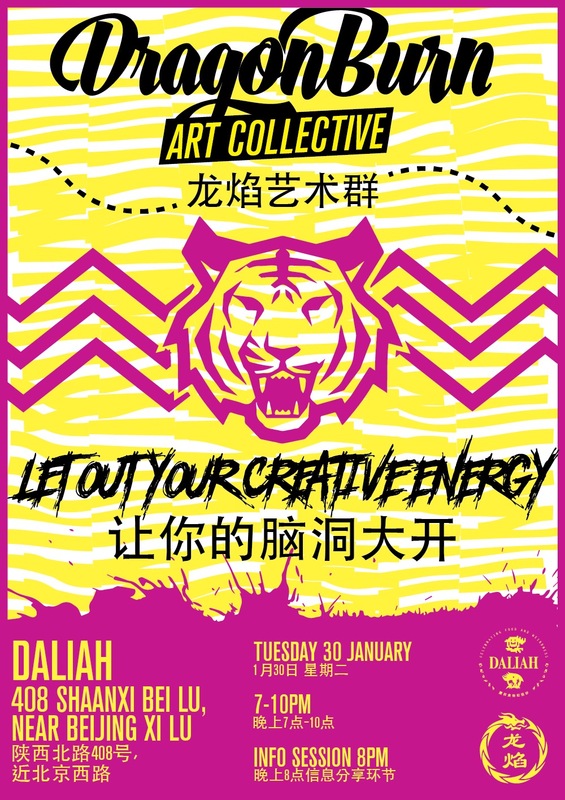 This year’s arts information session starts at 8pm but arrive at 7pm to learn about the Burn and previous arts projects while enjoying some of Daliah’s food and drinks with specials created just for Burners on budgets. Previous Previous post: Dragon Burn 2018 on May Bank Holiday!